The AHA requires that all online classes include an in-person, hands-on Skills Check. You cannot get certified by the AHA without completing a skills check following an online class. 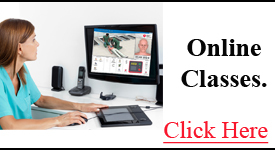 Click Here if you need an Online Class and Skills Check for BLS, ACLS, PALS or HeartSaver CPR. Skills Checks are scheduled at local Kansas City location. 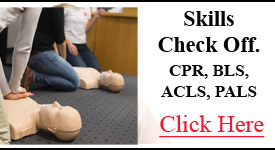 Click Here is you have already completed an AHA Online Class and only need a Skills Check to complete your BLS, ACLS, PALS or HeartSaver CPR certification.